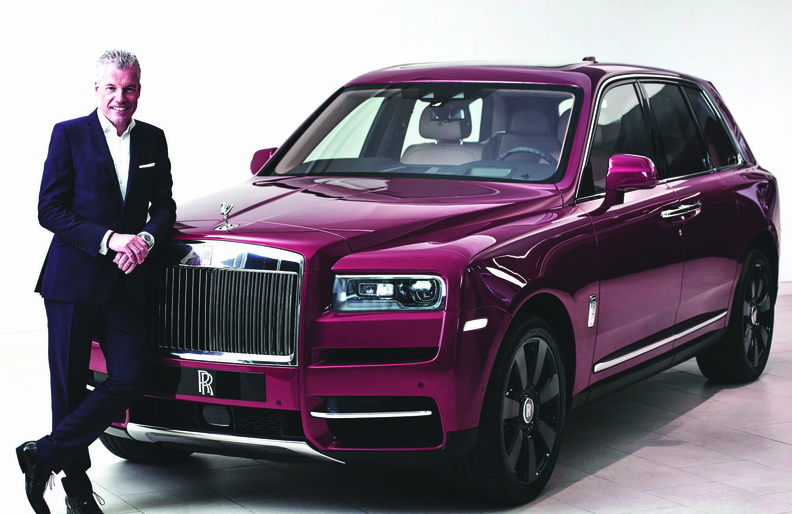 Rolls-Royce CEO Torsten Mueller-Oetvoes says a growing economy, aging population and an influx of highly skilled immigrants are fuelling growth in Canada’s luxury-vehicle market. He says the new Cullinan attracts those buyers. TORONTO — With a new all-wheel-drive utility vehicle and a growing base of luxury buyers in Canada, Rolls-Royce CEO Torsten Mueller-Oetvoes said the company sees an opportunity. That says a lot about the market here, considering the new Cullinan is the most expensive vehicle of its kind at $399,000 plus $6,995 for freight and pre-delivery inspection. Speaking at a Toronto Rolls-Royce dealership, Mueller-Oetvoes said the Cullinan was designed with Canada in mind. It’s aimed at buyers with families (it has three rows of seats) and those who drive in perilous winter conditions. “Cullinan, our SUV, was particularly meant for countries like Canada, Russia, countries that face severe weather conditions,” Mueller-Oetvoes said. A growing economy, an aging population and an influx of highly skilled immigrants are fuelling substantial growth in Canada’s luxury market, and that applies to ultra-luxury brands as well. As a result, Mueller-Oetvoes said, the Rolls-Royce customer base is changing. “We’ve brought the average [customer] age down from 56 when I joined, to 45, 44 today. And I would not be surprised to see this continuing,” he said. The Cullinan, which comes with a 571-horsepower twin-turbocharged V-12 engine, should attract buyers who might desire the prestige and luxury of a Rolls-Royce but need the extra space for their families, Mueller-Oetvoes said. “The whole demographics ... of people that have assets of [US] $30 million and more has changed dramatically over the last 10 years, from inherited money to self-generated money, very much on the back of IT businesses and new business models. This was, in the beginning, quite a challenge for us to cater to the needs of these particular younger ones. But I think we’ve done it right. “Autonomous drive is interesting at a point when it is really technically satisfying, where it is effortless to our customers. That’s the point where you’ll see it in a RollsRoyce, but not yet. There are more stages to go through. “We will not do a blackand-white introduction in that tomorrow only electric will be available. We will bridge this because we foresee the 12-cylinder engine will stay around for quite a long, long time, and many markets will want it. But we also see the necessity to enter into the electric field, very much driven by legal requirements, in China, for instance. “This business is not a typical car business. People are buying a piece of art. That might sound ridiculous, maybe, to you, but it is in their perception a kind of piece of art. And the 12-cylinder itself is itself a wonder piece of technical precision, mechanical precision. It’s like a highly complicated watch. So, it’s an in-built part of the brand. “For us, we are quite a small company. We sell around 4,000 cars per year. So, I am limited in my investment money. “Social media, searching online, is highly relevant for us. We’re serving these channels. But when it comes to the final moment and when it comes to specifying your car, our loyalty is unmatched. We are not selling commodities here. We are selling luxury goods. “Thirty per cent of customers worldwide who are ordering a car with us are visiting us to sit together with our designers and to specify their particular piece of art — to say it like that.